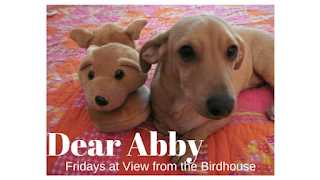 When I asked my Facebook friends for favorite TV dogs, several people answered Rin Tin Tin. My Momma and I have heard of this dog, and knew he was a handsome German Shepherd, but neither of us have seen the old TV show. So it was fun to learn more! Rin Tin Tin was a German Shepherd dog. Much like Lassie, Rin Tin Tin originally starred in a series of movies (1922 - 1947). And, also like Lassie, Rin Tin Tin was played by a series of different dogs. 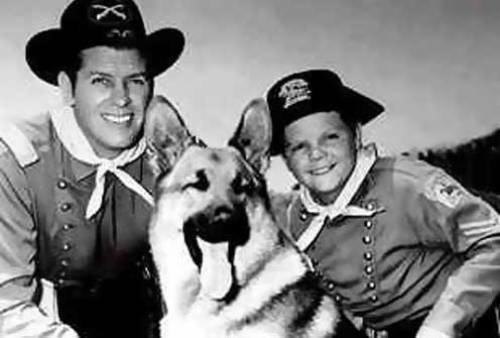 The TV series The Adventures of Rin Tin Tin was a children's series on ABC, and it aired from 1954 - 1959. It was the story of a little boy named Rusty who lived on a U.S. Calvary post called Fort Apache. 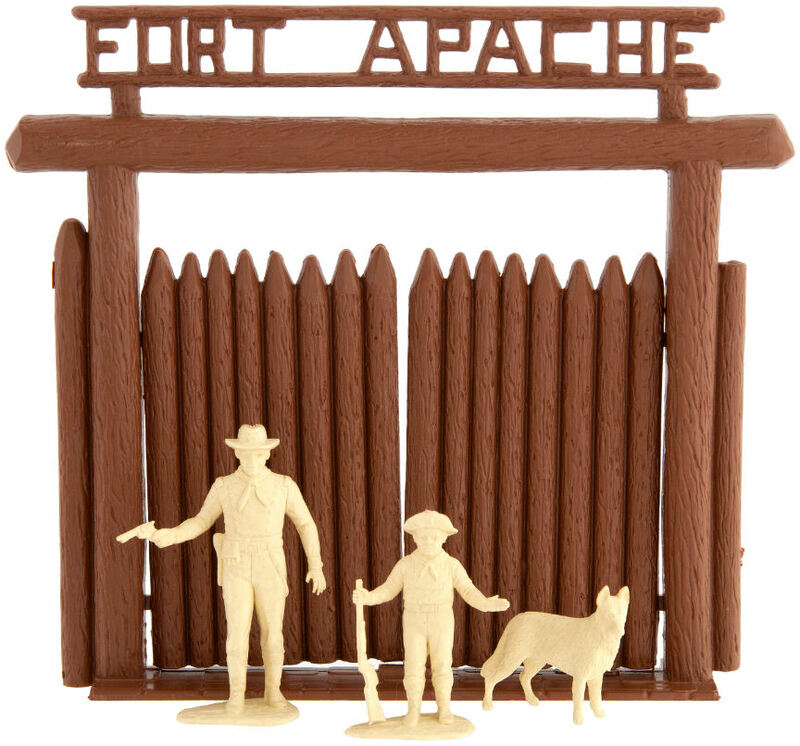 (The series was filmed on the set of the John Ford movie Fort Apache.) 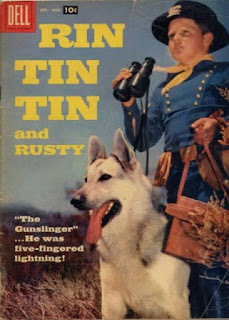 Rusty had a special friend named Rin Tin Tin. He was initially played by a dog named Rin Tin Tin IV (a descendent of the movie star dog), and later by a German Shepherd named Flame, Jr.
Rin Tin Tin was later mentioned in the novel Sunnyside by Glen David Gold and Rin Tin Tin: The Life and Legend by Susan Orlean. Anne Frank wrote in her diary that she wished she had a dog like Rin Tin Tin (June 14, 1942). Thank you for visiting today! I hope you enjoyed reading about Rin Tin Tin. Have you seen this TV show before? When I was little there were reruns of Rin Tin Tin on before or after my shows (Sesame Street and The Electric Company). I would watch after preschool. Go, Rinty!!! I am glad to say it is back on at 5 in the morning Saturdays on Antenna-TV so I set the recorder. Lt. Rip Masters, Sgt. O'Hara and Cpl. Rusty, together. What a team, the only thing missing was the Lone Ranger, who did make it on Lassie. My favorite episode is where they go on a Northern trip and Rinty ends up having to join a wolf pack after killing the master wolf. I almost thought it was the final episode, but in this two-parter, he came back after a long time, and the look on Rusty's face couldn't be topped! So much fun! I have to admit, I never really caught any episodes of Rin Tin Tin. Looks like I missed out. I must admit that I have never seen an episode of Rin Tin Tin. I totally know who the famous dog is though! Oh this is too fun! I have never watched Rin Tin Tin, but I think that I may have heard of it before. Loved learning a little Rin Tin Tin history! I've never seen rin tin tin but It sounds super cute! I love learning more about tv dogs! It's so cool that there are so many famous animals, I never did see this show but Have heard about it before. I do remember seeing Rin Tin Tin a couple of times. I didn't watch it regularly but my husband did and he liked it. It's so fun to see old time TV shows. Rin Tin Tin was long before my time, but I think I remember seeing some reruns when I was a kid. 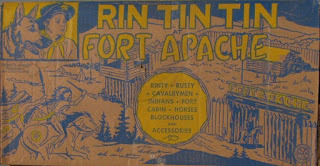 Rin Tin Tin was long before my time but I have seen it! I love going back and watching old movies it is so much fun! Hi Abby! 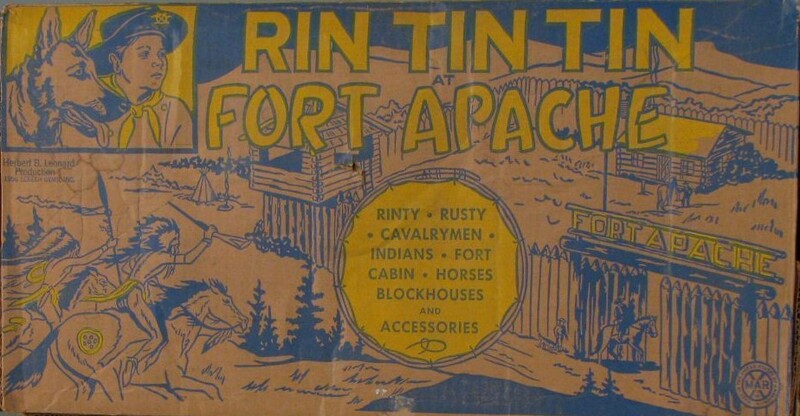 Thank you for the great memory refresher on Rin Tin Tin! I could never forget the beautiful German Shepherd who played the role, but I had forgotten the rest of the cast. This was one of my childhood favorites. After reading the rest of your viewer's comments, I feel kind of old though. LOL! This so neat to see. I love watching old TV shows. Thanks for stopping by! I enjoyed reading your memories of Rin Tin Tin. Hope you have a great day!